Amy Aislin’s new novella, Picture Winter, is due out today! 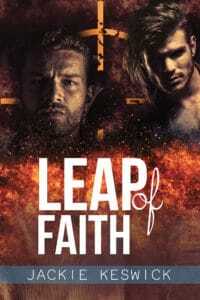 And I have Amy Aislin visiting the blog to talk about how the story came about. 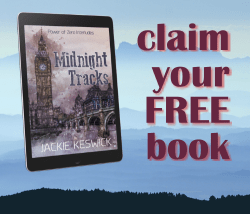 She’s also brought a corker of an excerpt, so make sure you check it out. Thank you for hosting me today on my blog tour for my newest novella, Picture Winter! The idea for Picture Winter came about last winter when MLR Press had a submission call involving zodiac signs. The story itself didn’t come to me right away, but the characters, Elias and Ty, did. I could’ve written about two different zodiac signs, but instead I wrote about two Capricorns. The idea was inspired by my friendship with one of my best friends. We’ll call her D.
D and I met in grade 9. The Backstreet Boys brought us together. (No, I’m not kidding.) We had lockers next to each other but didn’t meet until at least a month into the school year for some reason. I had a picture of BSB and/or Nick Carter (I can’t precisely remember) taped to the inside of my locker, and D’s first words to me were “Oh my God! You like the Backstreet Boys, too? !” Instant friendship. Thank you, BSB. D and I are both Capricorns. (D’s born only six days before me. Yay, January babies!) We have a lot of the same tastes (if the love of BSB didn’t give you a clue!) and a lot of the same morals and values. However, personality-wise? We couldn’t be more different. D is outgoing, fun, warm, enthusiastic, not shy about making her opinion heard, comfortable being the centre of attention, always has time for everyone, and is constantly on the go. I am…pretty much the opposite. Really, I’d just like to sit in a corner with a book and not have to talk to people. I’d be even more thrilled if nobody talked to me either. I’m reserved and careful, I despise being the centre of attention, and if I have an opinion I’ll probably keep it to myself. This is where the idea for Elias and Ty came from. 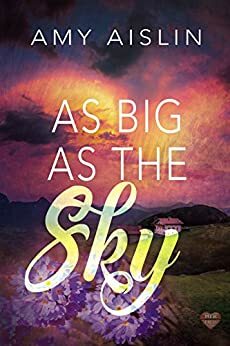 Two Capricorns who, on the surface, are completely different—Elias is reserved and cautious, and Ty is friendly and charming—but who, deep down, have quite a lot in common. 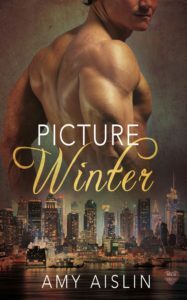 Out of the three novellas I’ve published to date, Picture Winter is my favourite because there’s a lot of me in both Elias and Ty—but more so Elias. (Although I hope I’m not as judgy as him.) 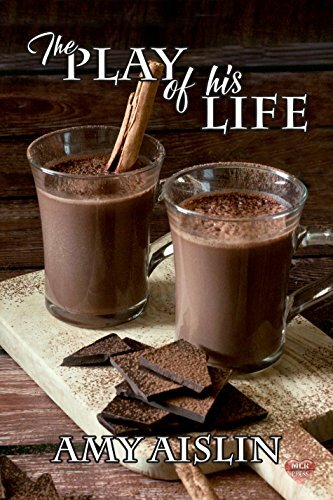 It’s a very personal story for me, and I hope you enjoy reading their story as much as I enjoyed writing it. Two hours later, they hit first a chain grocery store in Guelph—Ty didn’t even have milk to go with his one cereal box—then a small cafe where they had a late brunch. “Did you know a banana is actually a berry?” Ty asked. Elias looked at him, wondering what brought on that particular point of conversation. “Says so right here.” Ty slid his paper placemat—full of random food facts and pictures—closer to Elias. Elias’s placemat had a fill-in-the-dots drawing, a tiny crossword, a word scrambler, a maze, and a spot-the-difference challenge. Clearly the universe was playing a cosmic joke. He’d ended up with the children’s placemat irrespective of the eighteen-year-old lookalike sitting across from him. “So, it’s really a bananaberry?” Elias asked. For some reason Ty thought that was hilarious. After dropping the groceries off at Ty’s, they headed to the Starkey Hill Interpretive Trail for some snowshoeing. Of course it took Ty all of five seconds to find his snowshoes and poles, and yet the lube and condoms were still MIA. But that was fine. They’d stocked up at the store. Elias brought his camera. It went everywhere with him anyway, but he’d been an idiot yesterday, leaving it in his car all day and then overnight in the cold. He was damn lucky it had turned on this morning. Landscape and wildlife photography were his passions, but he found himself distracted today by Ty’s perfect face. Even in his ugly, poofy snowman coat he looked good enough to pounce on. He looked like a graceful angel on his snowshoes. By contrast Elias felt like an unbalanced bear. He kept forgetting to widen his stance so that he didn’t step on his snowshoe frame with the other foot. —A nose pinked from the cold appeared in his viewfinder. He was so surprised he hit the shutter-release by accident. And when he saw the image that appeared on his monitor, he couldn’t help but chuckle, sending the blue jay scurrying off. It was a picture of his left nostril and part of his eye. Elias kept laughing. “Here, take a better one,” Ty said and plopped down in the snow next to Elias. Ty had the picture taken before Elias could finish his sentence. Except none of the settings had been adjusted, so instead of a selfie of the two of them, Elias had a blurry picture of what might have been his own beard or could’ve been the tree trunk behind them. Elias took a picture of him like that, head thrown back, eyes half-closed, mouth wide, teeth glistening bright as the snow that was also stuck in his hair now. That way he’d have this moment forever and could always look back on it and remember how good it felt to be in that first honeymoon phase of dating someone who felt about Elias the same way Elias felt about him, when everything was wonderful and new and fun. That carefree laughter was the best kind of kick in the gut. Without thinking twice about it, he moved in on Ty and kissed his still laughing mouth. Ty was still chuckling as he kissed Elias back, mouth cold, tongue warm. It took hardly any prompting from Elias for Ty to roll himself on top of him but Ty’s coat was so slick that he landed on Elias and then slipped off him, landing on Elias’s other side, which only made him laugh harder. His good mood was contagious, and Elias laughed with him until the snow started soaking into his jeans. The wind chill was supposed to drop again overnight, and they could already feel it even though sunset was still three hours away. “Let’s go winter camping,” Ty said, standing much more nimbly. For the first time since they started snowshoeing an hour and a half ago, Ty fell flat on his face. Amy Aislin started writing on a rainy day in fourth grade when her class was forced to stay inside for recess. Tales of adventures with her classmates quickly morphed into tales of adventures with the characters in her head. Based in Oakville, Ontario, she’s a marketer at a large environmental non-profit in Toronto by day, and a writer by night. Book enthusiast, animal lover and (very) amateur photographer, her interests are many and varied, including traveling, astronomy, ecology, and baking. Amy loves live theatre (especially musicals), the CW’s DC comic shows, Julie Andrews, the Backstreet Boys, anything to do with Scotland and Ireland, and her hometown of Oakville.